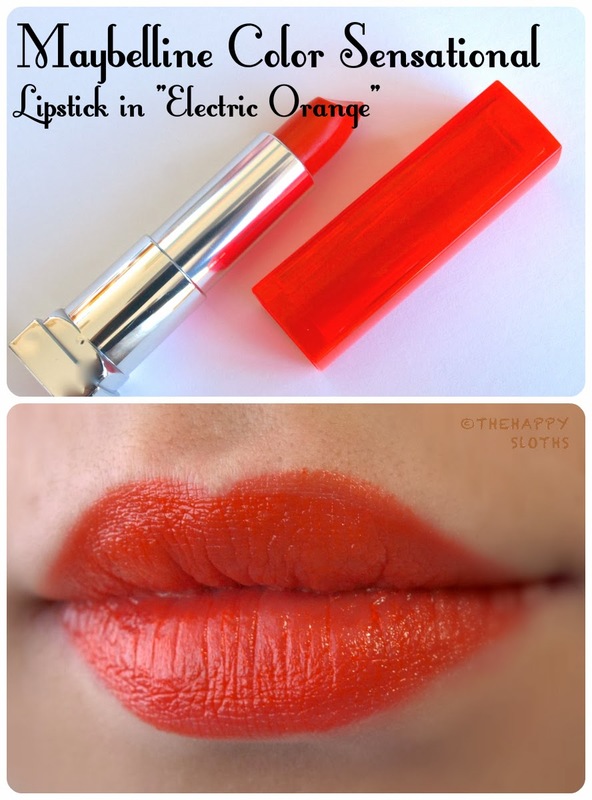 A simple summery and bright orange lipstick, "Electric Orange" has great pigmentation and a nice application. 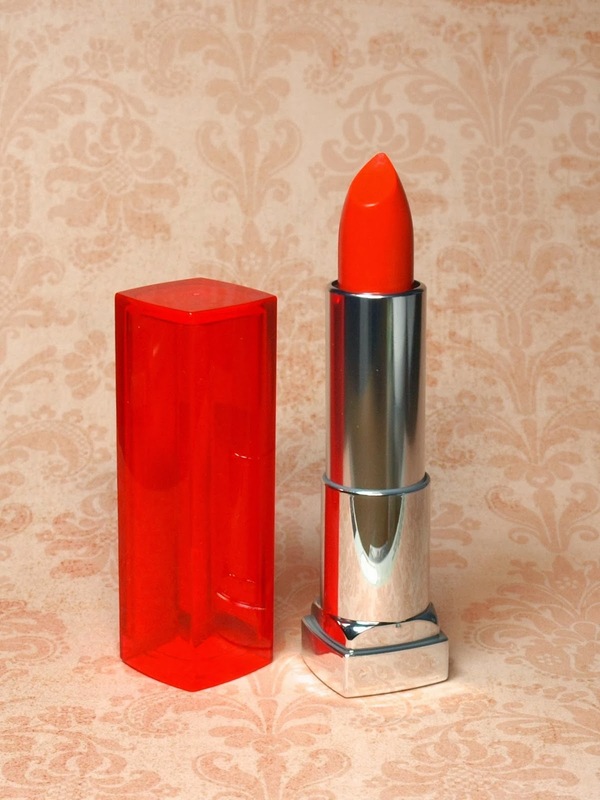 I wish I had gotten this color when I was in my "orange lipstick" phase, I would have really rocked it then! Nowadays I am a little hesitant about wearing a color like this, especially during winter times. 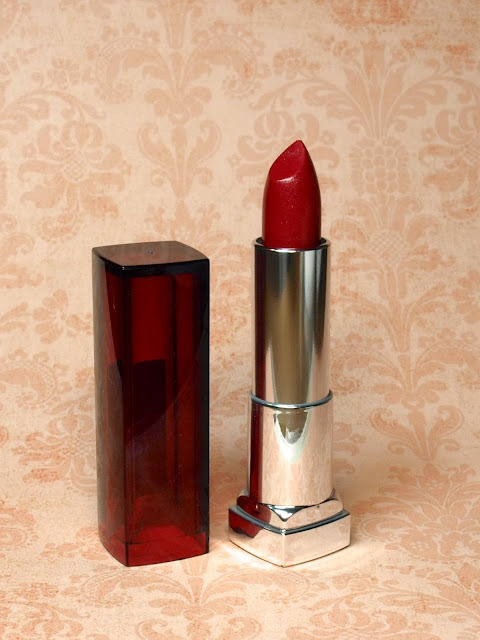 But formula-wise, this is a great lipstick! Perhaps I'll give this a go when the summer months arrive. Appropriately named, "Ruby Star" is a beautiful and pigmented wine colored lipstick embedded with micro-flecks of gold glitters. 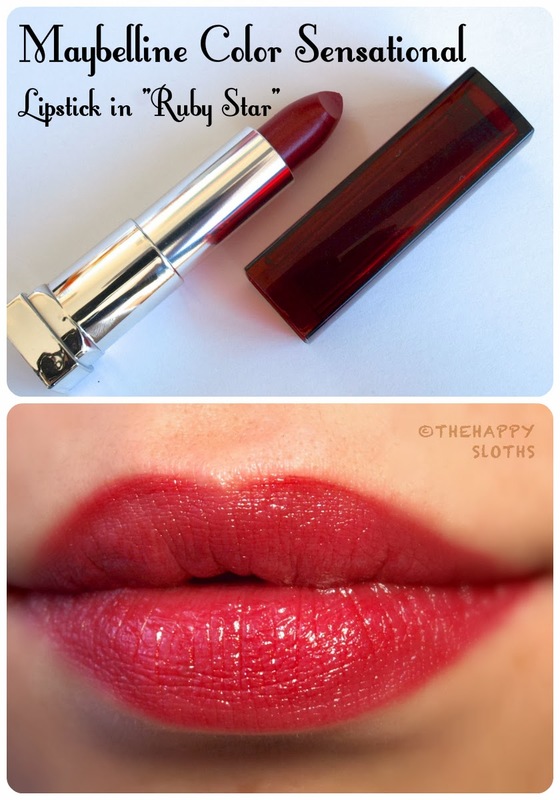 The application is very smooth despite the gold flecks and I think this is a great red for the holidays, with a vampy twist. Overall, I really enjoyed both of these lipsticks. They were all nicely moisturizing and richly pigmented. 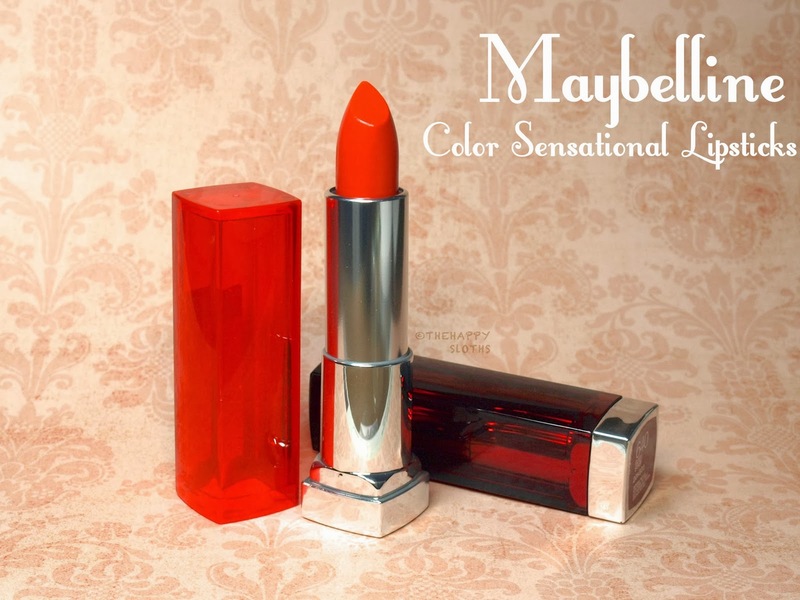 The only minor downside I have with these (as I mentioned in my previous Sensational Lipstick review), is that they have that old-school lipstick smell which I personally don't like. It's not a deal breaker but it's worth mentioning for those that prefer their lipsticks to be scent-free. So what do you think? Which do you prefer? The bright "Electric Orange" or the festive "Ruby Star? Let me know in the comments below, have a good day!